The lantern has a unique design. Size of Product: L-3.5"X W-3.5"X H-5"
The lantern has a unique design. 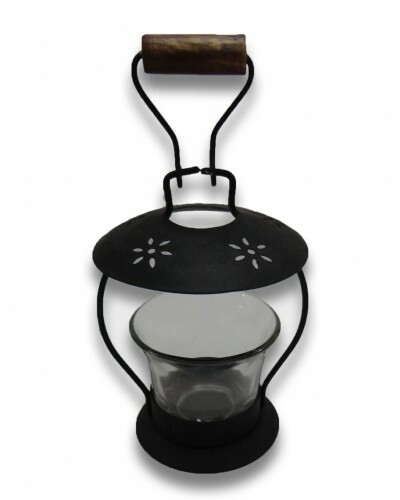 It has a metal open frame in which resides the candle holder. It has a handle to lift it up when it is too hot. The circular frame has a design like that of a beautiful flower on the top that projects on the space where it is kept once the candle is light. It is a fabulous piece and a good item to gift.